1. 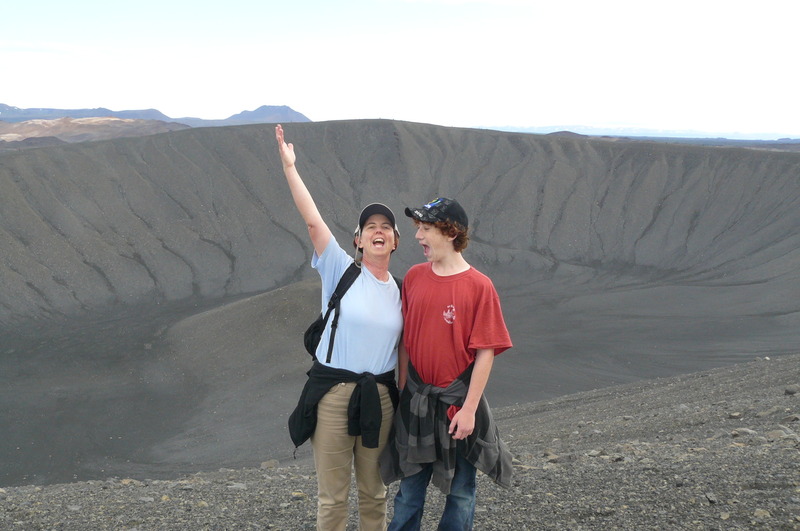 Volcan Totumo, Colombia : This must be the most bizarre family travel experience we’ve ever had. The whole thing is completely otherworldly. 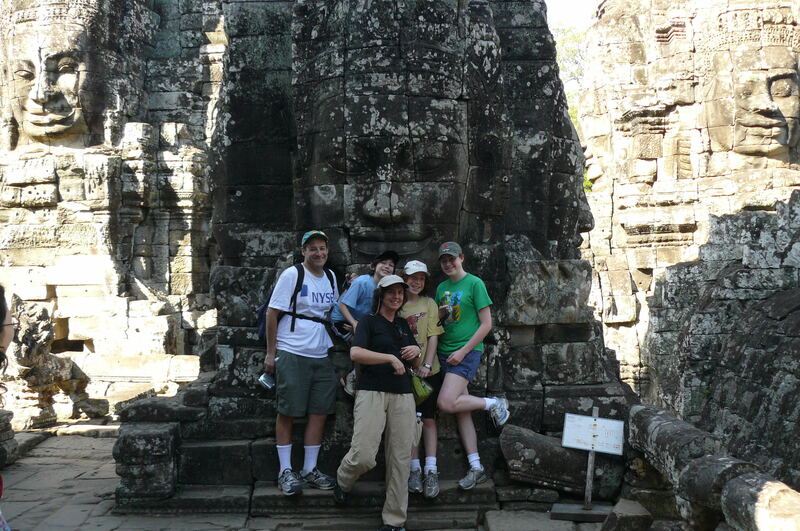 First off, on arrival, our little minibusload (six of us plus guide + driver) were the only tourists in sight. 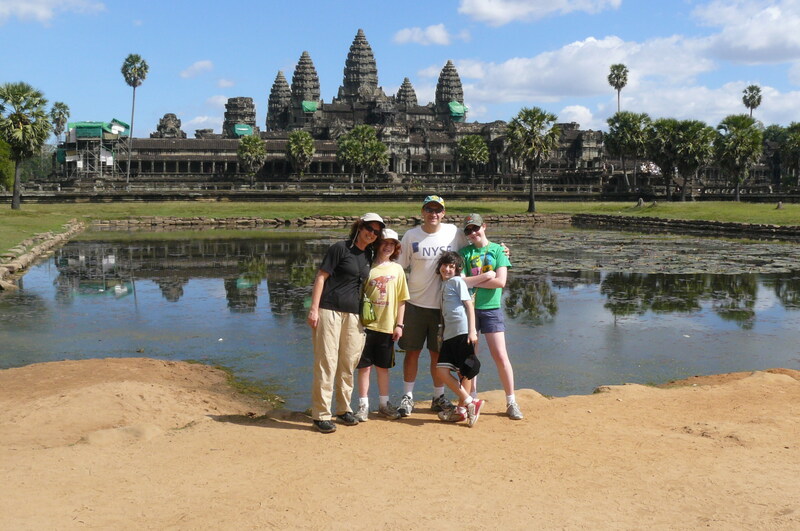 We’re instantly mobbed by a bunch of people wanting to do several jobs for us, a bit like our super valets/porters. Then we hustle into primitive toilets to change, while beating back an attack of some horrible looking and sounding insects. Then we run up about 30 steps to the ‘volcan’ which is really a huge mudbath perched on top of a strange almost pyramid shaped mound. One by one, helpers slip us into the mud, and then carefully position you in the bath. Basically it’s very hard to move on your own, hence the help. Then the helper slips in next to you and gives you a massage whether or not you want one. 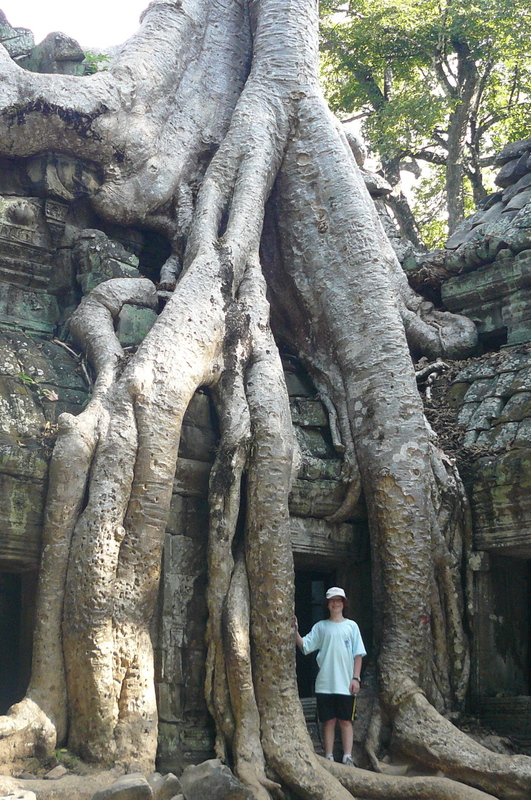 All this time, someone else is snapping photos with your camera – you cannot take anything in with you. 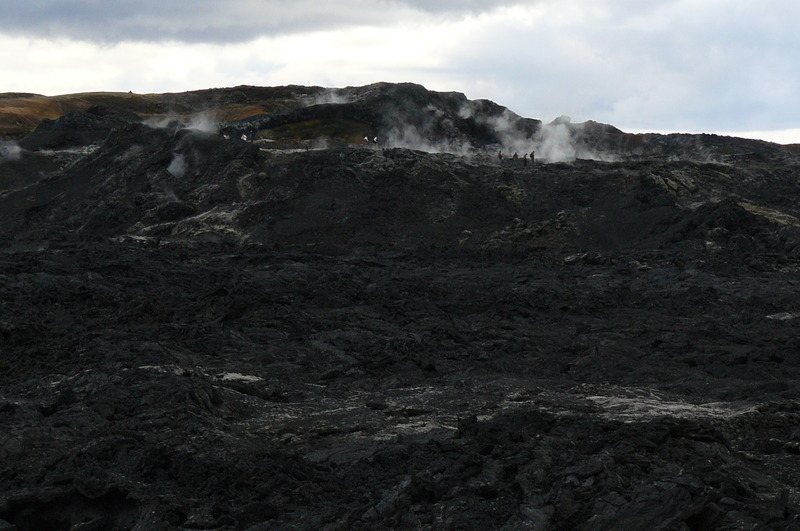 Apparently the volcan is very deep – we hear 500 meters, 2,000 meters – who knows, it is deep, but you can’t sink even when you try. It’s really very strange and pretty funny. 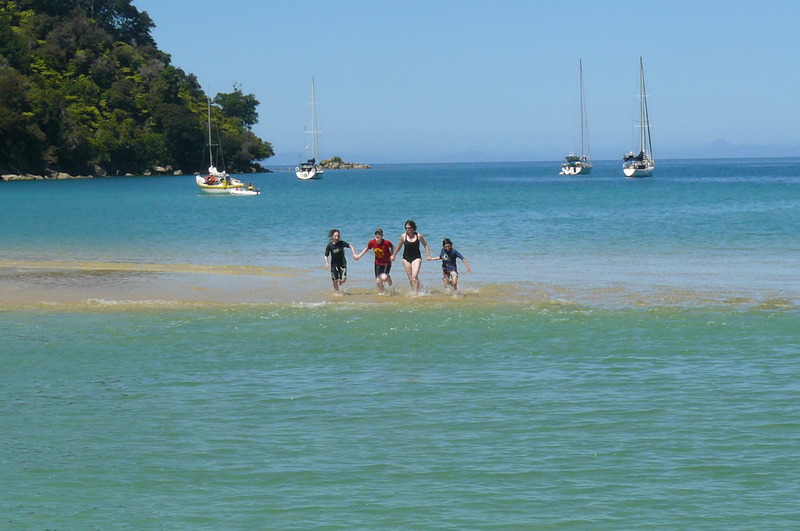 After a while, an instruction is given to exit, whereupon you hurtle down the stairs, into the lagoon 50 meters away, and get bathed by more helpers. Altogether unforgettable. 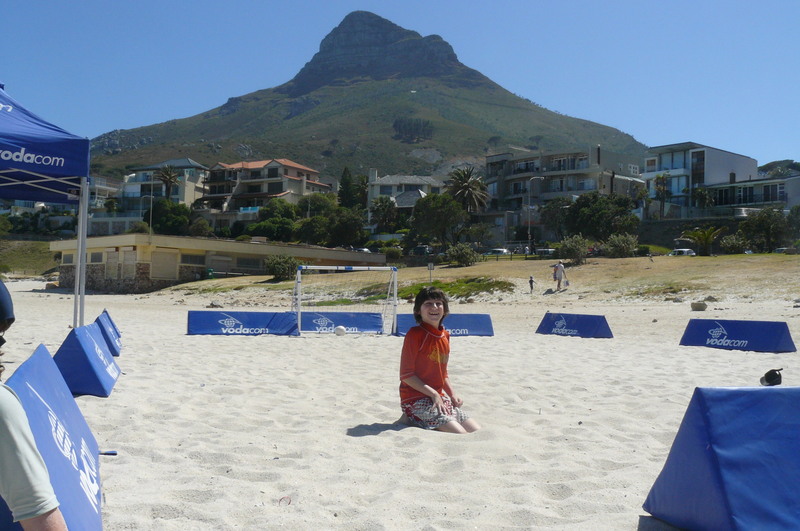 i) Camps Bay, South Africa – I’m biased as an ex Capetownian, but CB is a perfect beach, even if the water is usually freezing. 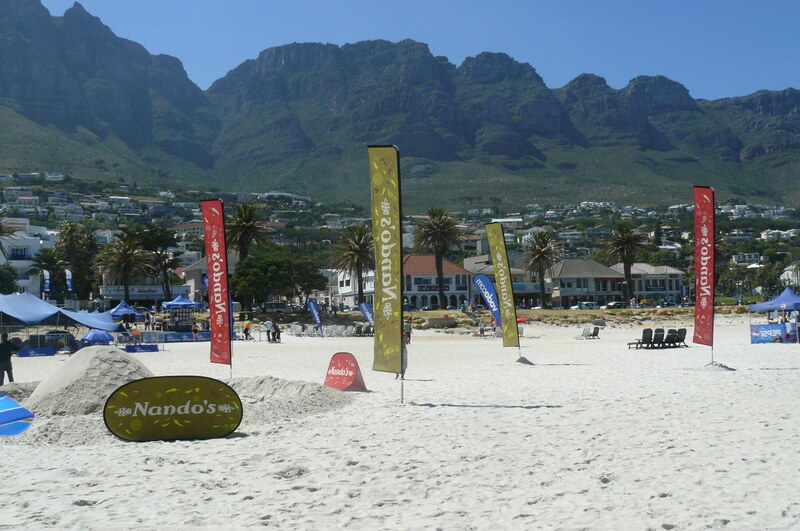 Magnificent mountains behind the beach, the buzz of the main road, the vibe of Cape Town in summer, the gorgeous sunsets, all combine to make this beach totally spectacular. 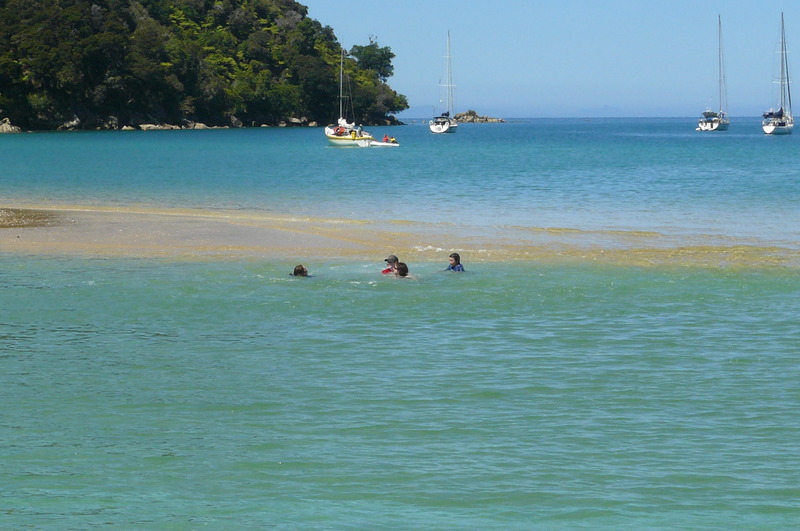 ii) Abel Tasman National Park, New Zealand, various beaches. 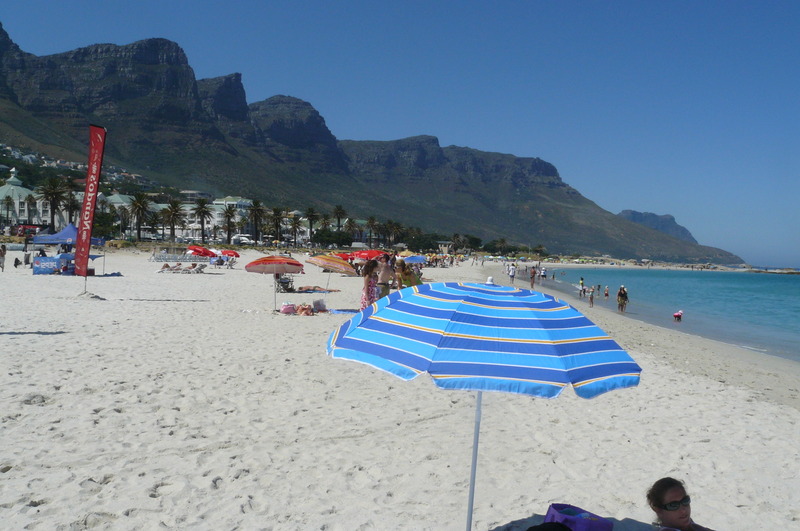 The opposite of busy, the water here is so perfect, for swimming and in colour, that ATNP is addictive. 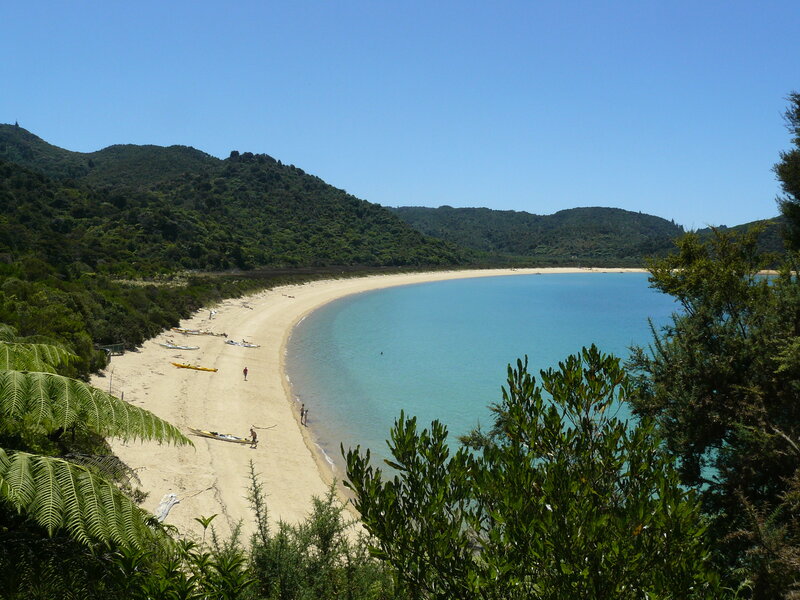 There’s incredible hiking, kayaking and wildlife – we saw just the greatest natural ‘performance’ by a huge number of dolphins – making Abel Tasman a must see and do if you’re in New Zealand. 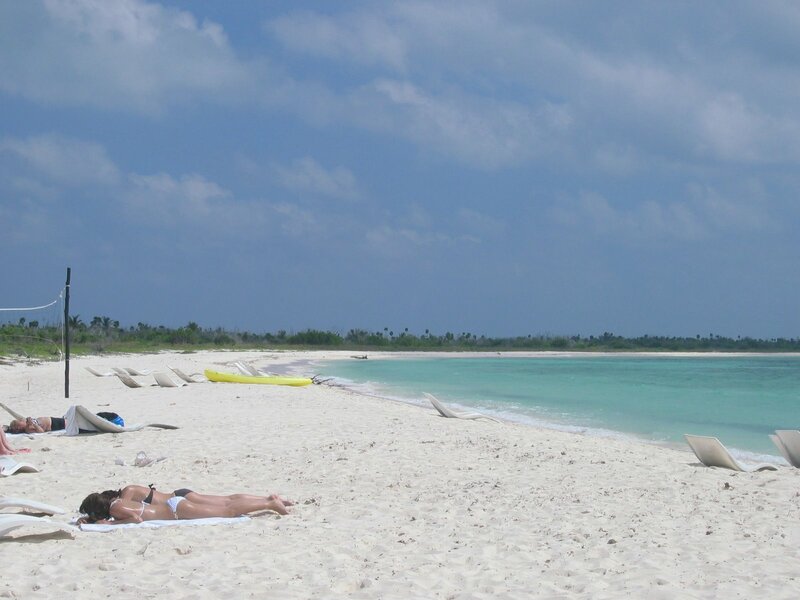 iii) Johnny Cay, San Andres, Colombia: Closer to Nicaragua than Colombia, San Andres has what the locals call ‘the sea of seven colours’ and the water is just perfect Caribbean blues and greens. 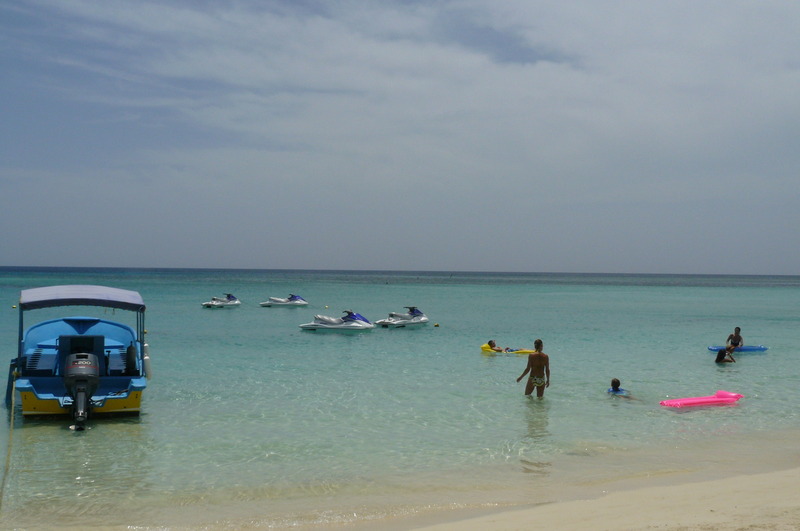 Johnny Cay, just off San Andres has the combination of beautiful sand that melts on your feet, good waves for kids, and a downplayed party atmosphere, and is THE way to spend time in San Andres. 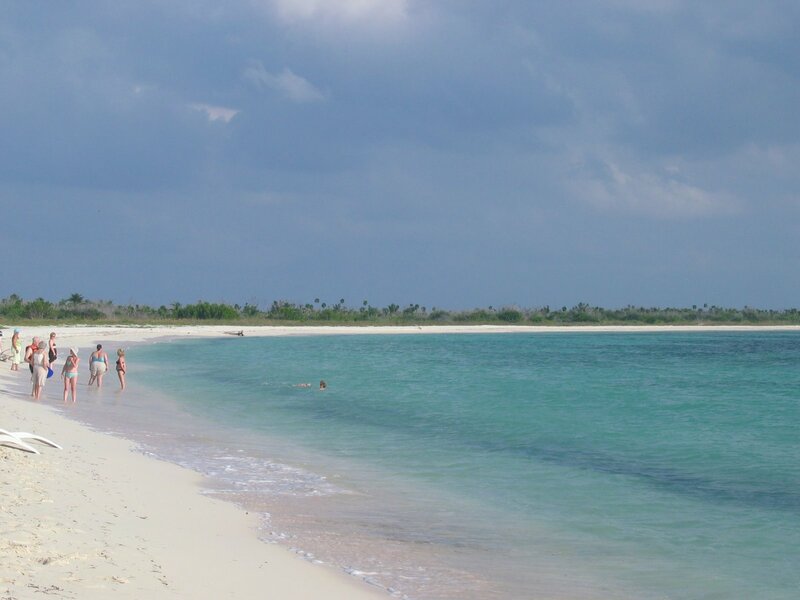 iv) Punta Sur, Cozumel, Mexico : This is not a public beach – unusual in Mexico – so it has opening and closing times. 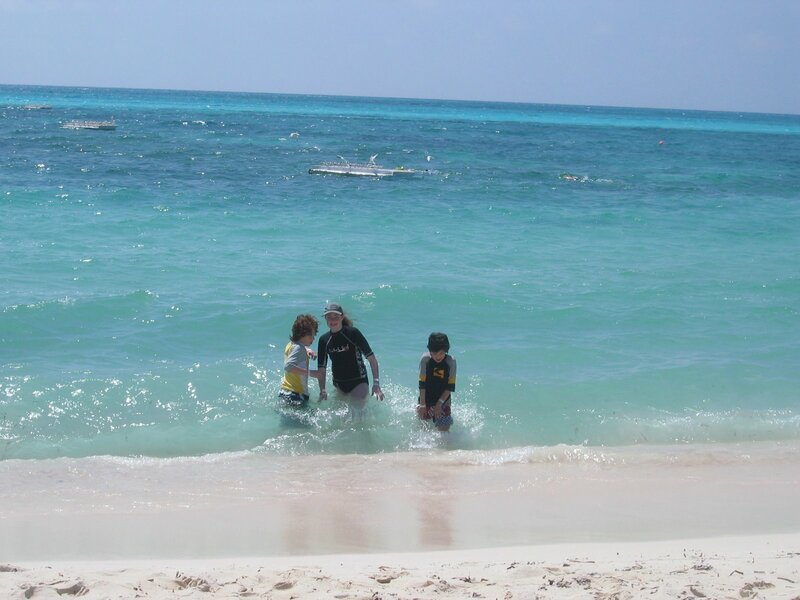 We arrived there in the morning, and when it was closing at about 6pm, I reluctantly got out of the water, at last. Enough said. 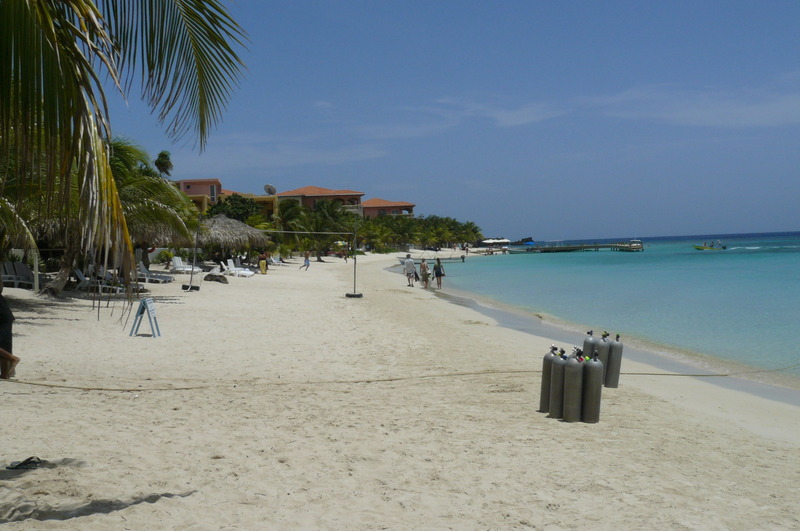 v) West Bay, Roatan, Honduras : Ok, I know, another Caribbean beach, but West Bay is again, so perfect, with a combination of beautiful warm sand and water that it’s too hard to leave out. 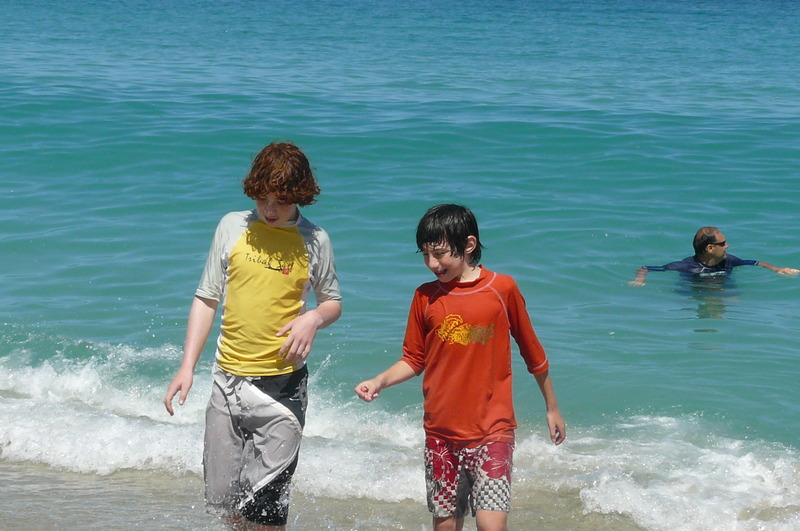 Plus we had the added advantage of staying 50 meters from the water. Just step out of the cabin, and 2 minutes later slip into that water. Aah, just heaven. 4. Lake Myvatn, Iceland. 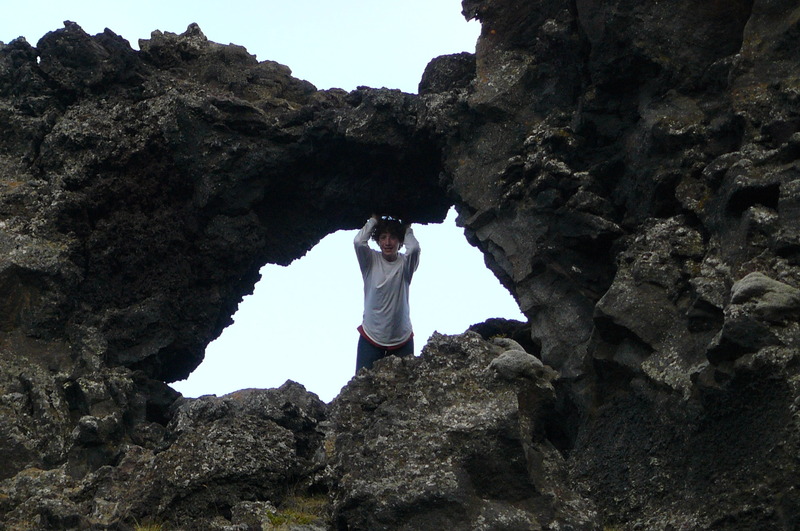 The Myvatn area of Iceland is a playground for kids of all ages, especially designed by Mother Nature. 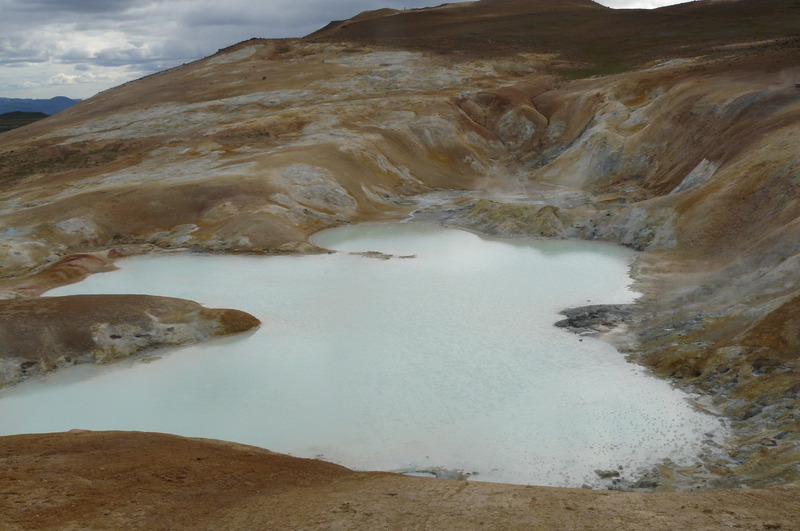 It offers so many varied, fun pursuits, all natural, that one has to wonder why it does not attract more tourists; partly I guess is its distance from Reykjavik, almost everyone’s arrival point in the country. 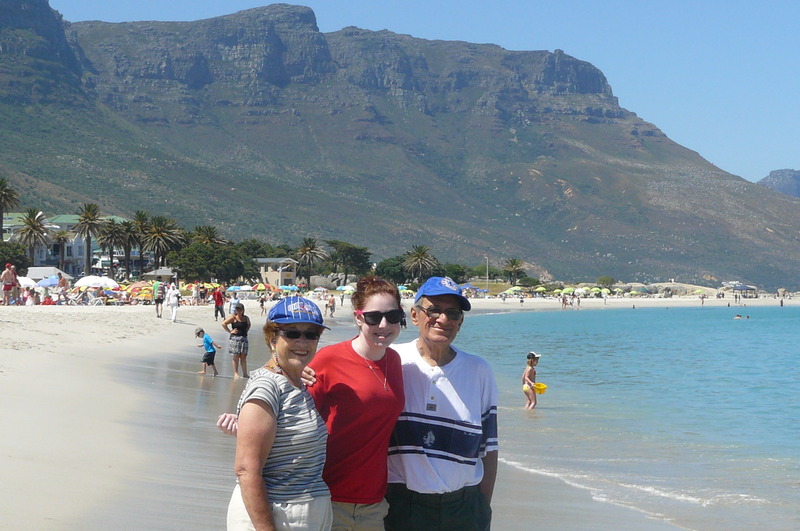 In fact we found so many distractions and attractions in the area that we paid fairly little attention to the lake itself, the premier attraction of all ! 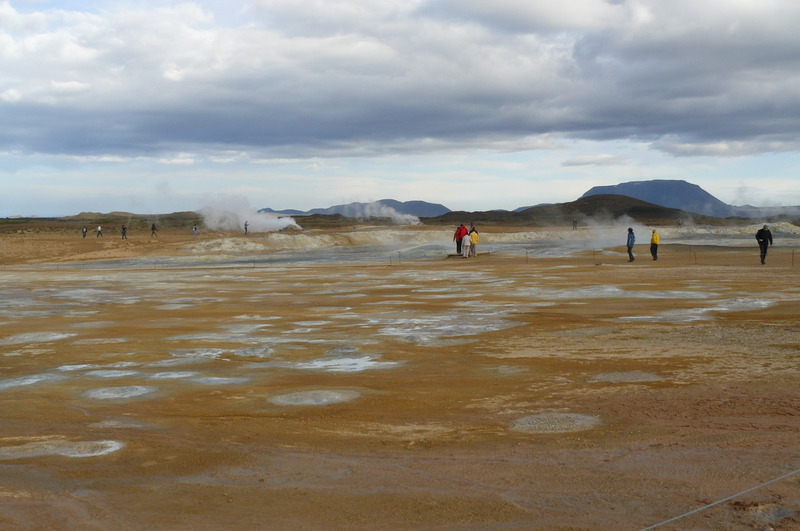 Firstly there’s the Hverir thermal area, which you approach just as you enter the area. This has lots of walking areas but at the end of a long day we were too tired to do that. 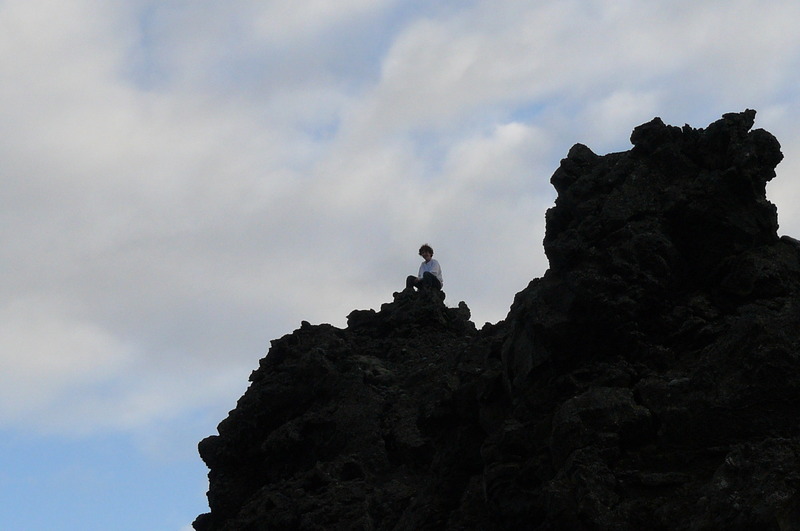 Then there’s Dimmuborgir, a collection of weird lava rocks and towers. 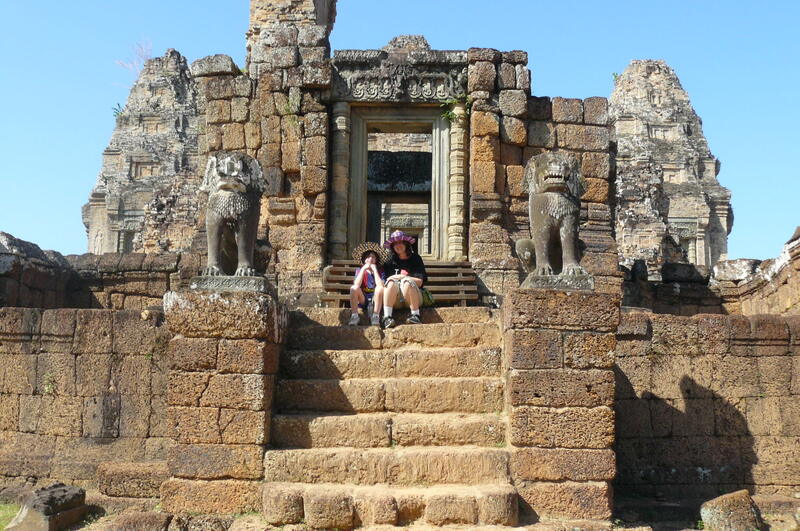 This provided endless climbing enjoyment for our son – it was 5 minutes from our guesthouse and we scampered around on three different occasions (in 2 days). Great fun. Then there’s the Jardbodin nature baths, a simpler, more natural experience than Blue Lagoon, open till late at night (we left at 11pm), and a wonderful place to just relax under the few stars (we never really saw the skies get very dark on our summer trip). 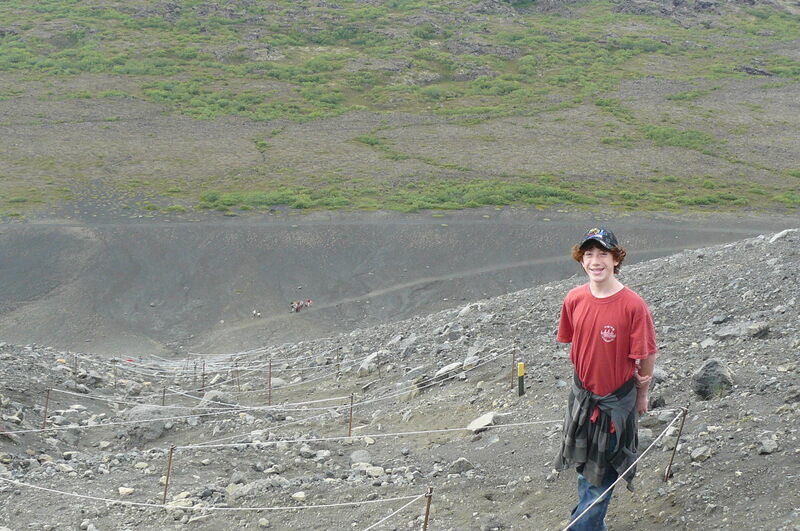 In the morning we trekked up Hverjfall, a classic volcanic cone – the walk down is much harder as it’s pretty steep and you have to be very careful. 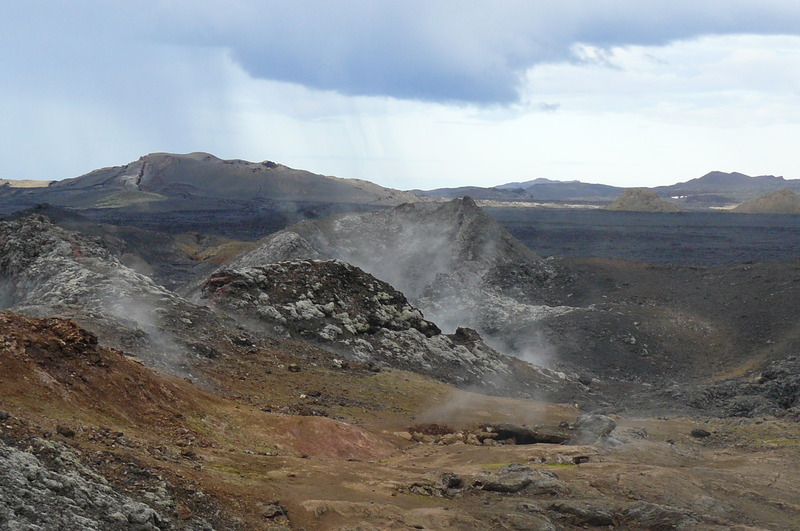 Then we went off to Krafla, a fantastic, fun volcanic area where you can explore for hours and still only see a fraction of the incredible, smoldering landscape. 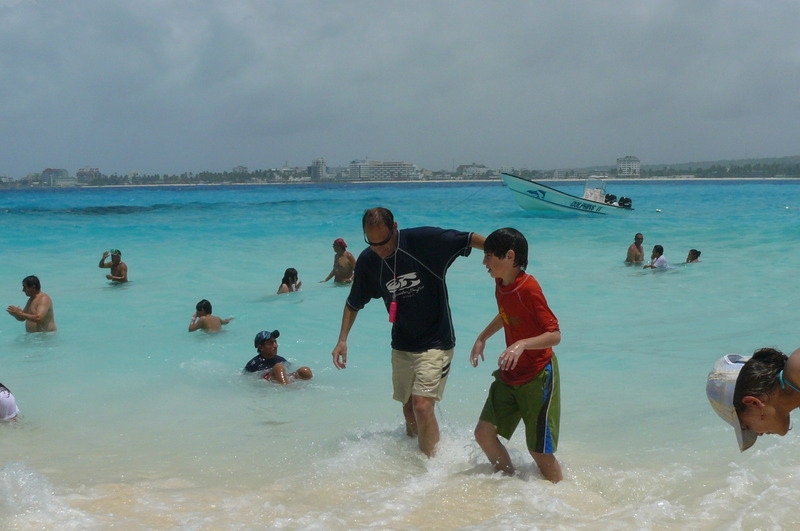 Altogether, just a fabulous place to have wonderful experiences with your kids.